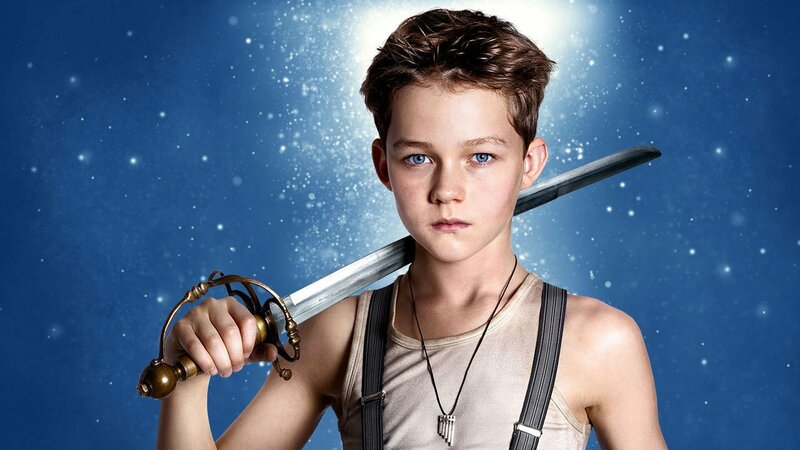 The latest big screen edition of Peter Pan is, if nothing else, an incredibly strange movie. 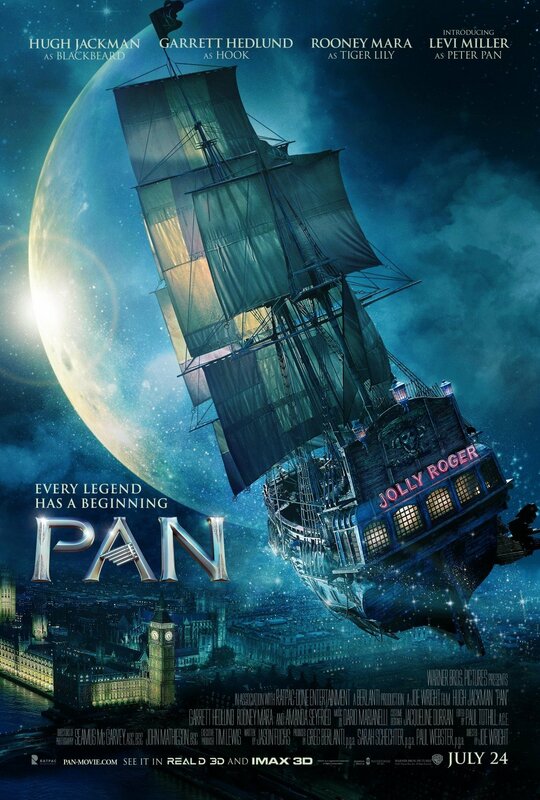 Directed by Brit Joe Wright (Atonement, Hannah), it seems to be a Peter Pan blockbuster made by people who aren’t particularly interested in Peter Pan. The filmmakers completely re-wrote and altered the original text about the flying boy who won’t grow up and transformed it into a steampunk fantasy blockbuster about a chosen one. Sure, transforming fairy tales into action fantasy epics is a cottage industry now worth billions of dollars. So, I suppose there’s at least a template for how this thing could be commercial. However, Wright’s vision is such a bizarre reinvention that the pleasures the film offers tend to be of the ‘wtf’ variety and it’s hard to imagine the audience willing to fork over cash to see a Peter Pan blockbuster will be seeking that experience. The movie takes place at the height of the London Blitz. Wright’s ever-mobile cameras probe their way through the battle-scarred streets of London to find an abusive orphanage where a little scallywag named Peter (Levi Miller) awaits his mother’s return while dodging some dastardly nuns. One night, a collection of boys (including Peter) are kidnapped by clown pirates on bungee cords. They’ve been sold to slavery by the nuns and soon find themselves trapped on a pirate ship that engages in a dogfight with some WW2 era warplanes. Eventually the ship arrives in Neverland where a gang of evil pirates chant the lyrics to Smells Like Teen Spirit and tell the kidnapped boys that they will now toil in a mountain mine to seek out rocks of fairy dust. So…yeah…not exactly the normal Peter Pan story, huh? Wait, there’s more. The evil pirate running it all isn’t actually Captain Hook. 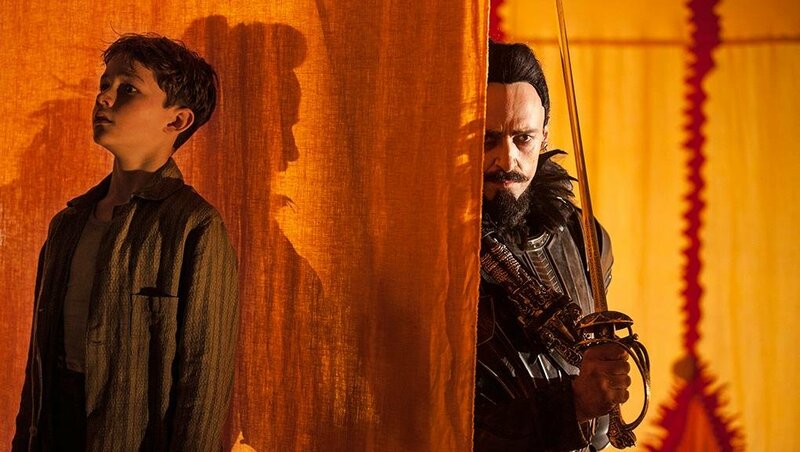 Nope, it’s Blackbeard (portrayed by Hugh Jackman with campy gusto). James Hook is actually one of the slaves and is played by Garret Hedlund with a bizarre voice that’s somewhere between a John Huston impression and a parody of poorly mimicked American accents. All the slaves whisper that they’ll one day be saved by a chosen boy named Pan who can fly. Apparently he’s a long lost half-fairy/half-human love child from the great pirate/fairy war for Neverland. Don’t worry if you’re lost. The setup doesn’t make that much more sense when played out in full. It appears that the appeal of Pan to Wright and his collaborators was to throw every bizarre idea and visual concept onto the screen regardless of whether or not it fit into the source material. Working with a massive blockbuster budget for the first time, it’s clear that Wright had an absolutely ball designing the world and staging the set pieces. The design of the film is rather stunning, pitched somewhere between Dickens, steampunk, and Terry Gilliam. 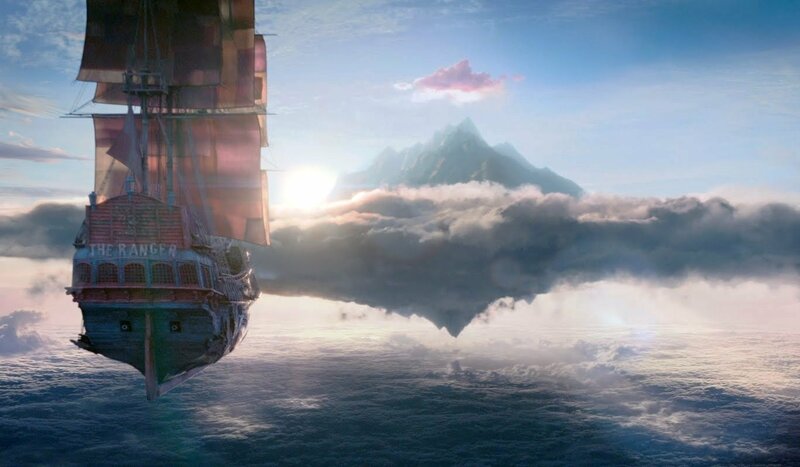 The massive 3D action sequences can be rather amazing, especially the flying pirate ship/plane battle over 40s London. As pure eye candy, there’s fun to be had and clearly the filmmakers went wild while bringing to life every bizarre idea that came to their heads. Unfortunately, they never really seemed to settle on a story or come up with a reason why they wanted to transform Pan so dramatically, and that’s a problem. The ‘chosen one’ hero narrative feels entirely perfunctory and the specifics of the mythology that led to this world are opaque at best. It’s easy to get lost and hard to care about why anything is happening. Hugh Jackman tries his best to deliver an unhinged villain, but the role is so underwritten that it never feels like more than wildly posturing in fancy dress. Admittedly, the young Levi Miller commits to his role as Peter with surprising dramatic weight, but every other actor on screen seems lost. Rooney Mara’s racially questionable casting as Tiger Lily, the leader of a native Neverland tribe, is downright bizarre, and her character seems to have no purpose beyond serving as an exposition delivery system. Hedlund’s performance is absolutely insane and not in a good way, more in a “this is so distracting, please make him stop” way. Everyone else is either lost and wooden or cartoonishly mugging. You can’t really blame any of the actors directly for blowing it, though. With a script this undercooked, they were all grasping at straws, desperate to survive. So…yeah…not exactly the normal Peter Pan story, huh? Wait, there’s more. The evil pirate running it all isn’t actually Captain Hook.